The mission of the American Journal of Traditional Chinese Veterinary Medicine (AJTCVM ) is to provide practitioners, students and researchers with the highest level of peer-reviewed articles on veterinary acupuncture, Chinese herbal medicine, Tui-na and Food therapy, to promote the generation and publication of research on the efficacy of these therapies in animals and to support the practice of evidence-based medicine. An appointed Editor-In-Chief, Editors and Editorial Board Members manage the daily functions of AJTCVM. The policy of the journal is to administer peer-review and publication procedures for submitted manuscripts. To encourage the submission of high quality studies related to the mission of the AJTCVM, there is no manuscript fee for publication. The AJTCVM is headed by an Editor-In-Chief and an Editorial Board consisting of Executive, Associate and Assistant Editors, who manage the day to day activities of the journal. As well there is a Board of Scientific Reviewers affiliated with university and other research institutions that provide their expertise on the design, execution, statistical analysis and validity of outcomes and conclusions of all original studies submitted for publication. An Advisory Board of veterinarians, trained and actively practicing in one or more aspects of TCVM, provide their expertise and ensure the needs of veterinary practitioners are represented in sections of the journal designed for continuing education (e.g., Pearls from TCVM Practice, What’s Your Diagnosis?, For the Practitioner and Materia Medica). The Editor-In-Chief is appointed by the Board of Directors of the American Association of Traditional Chinese Veterinary Medicine (AATCVM) and the American Academy of Veterinary Acupuncture (AAVA). Members of the Editorial Board, Advisory Board and the Board of Scientific Reviewers are appointed by the Editor-In-Chief in consultation with the AATCVM and AAVA Executive Board of Directors and the AJTCVM Executive Editorial Board. Any AATCVM or AAVA member can request to become an Editor at any level, an Advisory Board member or member of the Board of Scientific Reviewers, but must provide a description of their proposed contributions to the journal and be committed to fulfill the appropriate duties in a timely, thorough, accurate and professional manner. 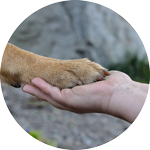 The Editor-in-Chief and the AATCVM and AAVA Executive Board of Directors, with input from the current AJTCVM Editorial Board, will review all requests for additions to any AJTCVM Board. The Editor-in-Chief can be dismissed by the AATCVM and AAVA Executive Board of Directors, with input from the AJTCVM Executive Editors, based on lack of performance of duties, unethical or unprofessional behavior or engagement in activities that undermine the mission and welfare of the AJTCVM. Any member of any AJTCVM Board may be dismissed by the Editor-in-Chief, in consultation with the current AJTCVM Editorial Board and the AATCVM and AAVA Executive Board of Directors, based on the lack of contributions (e.g. writing, reviewing, editing or proofing despite multiple requests), the inability to provide prompt and quality reviews consistent with the high standards of the AJTCVM, unethical or unprofessional behavior or the engagement in activities that undermine the mission and welfare of the AJTCVM. The Editor-in-Chief initially receives and reviews all submissions to the AJTCVM, to ensure suitability for publication in the journal and that the manuscript is in the required format, outlined in “The AJTCVM Instructions to Authors”. In consultation with the Executive Editors as needed, the Editor-in-Chief reserves the right to reject manuscripts without a TCVM focus or in a format or style unsuitable for the AJTCVM. The Editor-in-Chief will return all manuscripts with the improper format to the author with a copy of “The AJTCVM Instructions to Authors” and with the help of the Associate Editors assist authors until the appropriate format and content is achieved. The Editor-in-Chief will assign the initial editing activities to one of the Associate Editors. The Editor-in-Chief and assigned Associate Editor reserve the right to change the format, grammar or sentence structure of any part of the manuscript to comply with the guidelines outlined in “The AJTCVM Instructions to Authors” to fit the standard format and style of the AJTCVM and scientific journals in general. Several editing requests are usually made to authors from the Editor-in-Chief, in the form of 1st Edits, 2nd Edits and 3rd Edits until the manuscript is in an acceptable standard form to send to reviewers. All authors have the right to approve or disapprove all changes made to their manuscript. Subsequent corrections and suggestions from the author will be reviewed by the Editor-in-Chief, until the manuscript is approved by the authors, the Editor-in-Chief and the assigned Associate Editor. To prevent miscommunications, all assigned Associate Editors will send their edited versions to the Editor-in-Chief, who will review them and make any additional requests and then send them directly to the author. All communications with the author of a manuscript, during the editing and reviewing processes, will come directly from the Editor-in-Chief and not from any other assigned Associate Editor or Board Member. Once the manuscript is in the proper format and approved by the author, Editor-in-Chief and assigned Associate Editor, the Editor-in-Chief will send the manuscript to two peer reviewers from the Board of Scientific Reviewers, Assistant Editors or the Advisory Board. After receipt of the reviews, the Editor-in-Chief will combine all reviewer comments to maintain reviewer anonymity and then return the manuscript to the author for revisions, unless it has been rejected. If one reviewer rejects the manuscript and one reviewer accepts it, then the Editor-in-Chief will send the manuscript to a third reviewer who will unknowingly provide a third opinion. The decision to accept or reject a manuscript is based upon the criticisms and comments of the reviewers and final evaluations by the Executive and Associate Editors and Editor-in-Chief. The Editor-in-Chief will be responsible for ensuring all manuscripts are in final form, approved by the author and ready for publication. The Editor-in-Chief will send, receive and maintain signed copies of all copyright documents from authors prior to publication. The Editor-in-Chief will complete the Table of Contents, arrange all finalized approved articles by journal sections for each AJTCVM issue and submit these documents to the graphic designer for lay-out and galley proof creation. The Editor-in-Chief will review all changes an author wishes to make to their galley proof and reserves the right to accept or reject these changes. The Editor-in-Chief will review the final lay-out and content of each issue of the AJTCVM along with the Executive Editors and correct final typographical and format errors previously overlooked before the issue is sent to the printer. The Editor-in-Chief and other Editors will solicit review articles and manuscripts for the continuing education sections of the journal from other TCVM experts when needed. The Editor-in-Chief will maintain records of all author communications, copyright information and other documents associated with the AJTCVM. The Editor-in-Chief will be responsible for all communications regarding Letters to the Editor, corrections to published articles, complaints and other issues associated with the AJTCVM as they arise, with advice from the Associate and Assistant Editors as needed. The Editor-in-Chief will be responsible for creating and updating all Policies and Procedures, Instructions to Authors, website information and any other information regarding the AJTCVM, with input from the Executive and Associate Editors. The Editor-in-Chief, Executive and Associate Editors and the AATCVM and AAVA Board of Directors will make all decisions regarding the future development and expansion of the AJTCVM. The Executive Editors support all the activities of the Editor-in-Chief and assist in all major final decisions regarding the AJTCVM. Upon request from the Editor-in-Chief, the Executive Editors provide advice regarding the suitability of a manuscript for publication in the AJTCVM or suggest outside assistance when necessary. The Executive Editors review all finalized and reviewed versions of a manuscript to provide their approval, suggestions or a justification for rejection. The Executive Editors review the final layout version of each AJTCVM issue along with the Editor-in-Chief and the graphic designer to correct previously overlooked typographical and format errors, prior to printing. The Executive Editors may directly solicit articles from other TCVM experts, when needed, and then forward these to the Editor-in-Chief for processing. The Executive Editors offer advice and counsel to the Editor-in-Chief regarding communications, Letters to the Editor, corrections to published manuscripts, complaints and other issues associated with the AJTCVM as they arise. The Executive Editors provide information and editing assistance to the Editor-in-Chief for all Policies and Procedures, Instructions to Authors, website information and any other published information regarding the AJTCVM. The Executive Editors offer advice to the Editor-in-Chief regarding communications with outside agencies considering the inclusion of the AJTCVM in Pubmed, Science Citation Index, EBSCO and other databases. The Executive Editors, along with the Editor-in-Chief, Associate Editors and the AATCVM and AAVA Board of Directors make all decisions regarding the future development and expansion of the AJTCVM with a professional publisher or additional professional organizations. The Editor-in-Chief will send manuscripts to the Associate Editors for initial editing and formatting. The Associate Editor ensures that: 1) the wording of the manuscript is easy to read and comprehend by most veterinarians, 2) there are no inconsistencies or inadvertant mistakes made by the author, 3) the article complies with the standard format as outlined in the Instructions to Authors and 4) the information presented in the article is up-to-date, complete and accurate. The Associate Editors will return the edited manuscript to the Editor-in-Chief. To avoid miscommunications, theEditor-in-Chief will do all communications with authors. An Assistant Editor will be solicited to write at least 1 manuscript every 2 years for the review or continuing education sections of the AJTCVM. These manuscripts will be treated the same as all AJTCVM manuscripts and be peer-reviewed by 2-3 members of the Advisory Board or Board of Scientific Reviewers, as well as the Associate Editors, with final approval by the Editor-in-Chief and Executive Editors. The Assistant Editor may also serve as a peer reviewer for a manuscript as deemed appropriate by the Editor-in-Chief. An Advisory Board Member may serve as a peer-reviewer for a manuscript as deemed appropriate by the Editor-in-Chief. An Advisory Board Member may be solicited to write a manuscript for the continuing education sections of the AJTCVM, but these manuscripts will be treated the same as all AJTCVM manuscripts. Every article will be peer-reviewed by 2-3 members of the Assistant Editorial Board, Advisory Board or Board of Scientific Reviewers with final approval by the Executive Editors and Editor-in-Chief. The Advisory Board Members may make recommendations to the Editor-in-Chief regarding the content of the journal to ensure that the AJTCVM meets the need of the TCVM practitioner. As the name implies, members of the Board of Scientific Reviewers serve as reviewers primarily of the original research manuscripts. As previously stated they ensure that the design, execution, statistical analysis and validity of the outcomes and conclusions of all original studies are of the highest scientific quality. They ensure that the reporting of clinical trials follow the Guidelines for TCVM Trials adapted from the CONSORT guidelines. Once potential reviewers have agreed to read and comment on a manuscript, they are given a 2-week deadline to complete the review. Each reviewer evaluates the study design and execution, accuracy of results and contribution to the literature and decides whether the manuscript is accepted as is, accepted with revisions or rejected. A manuscript may be declined by the Editor-in-Chief and Executive Editors when initially submitted. Only manuscripts reporting some aspect of TCVM or Traditional Chinese Medicine (TCM) will be considered for publication in the AJTCVM. All manuscripts submitted must not have been published elsewhere in English or submitted or published elsewhere, while under consideration for acceptance by the AJTCVM. Manuscripts, without a TCVM or TCM focus or in a format or style with grammar unsuitable for the AJTCM, will be declined for publication. Manuscripts that contain information that suggests that animals have been subjected to adverse, stressful or harsh conditions or treatments will not be considered for publication by the AJTCVM. The second manner in which the AJTCVM will decline a manuscript is after completion of the formal review process. Manuscripts that do not meet the standards of the journal will be returned to the authors by the Editor-in-Chief with comments describing the basis for the decision. Manuscripts may be rejected if the findings are not well-supported by the data, do not provide significant new insights, are not sufficiently novel, do not contain enough new information and/or are too preliminary to warrant publication. Authors who disagree with the reviewers’ comments or the rejection of their manuscript can submit one rebuttal to the Editor-in-Chief citing references in the literature to support their view. The Editor-in-Chief and Associate Editors will make a final decision based on the new information provided by the author. If a manuscript is rejected at this stage, the decision is final and no further appeals will be reviewed. Any concerns or questions about future submissions may be sent directly to the Editor-in-Chief. The AJTCVM is published by the American Association of Traditional Chinese Veterinary Medicine, PO Box 141324, Gainesville, FL 32614. The AJTCVM is published biannually in February and August, but due to time needed for editing, reviewing, finalizing, layout, printing and mailing, the deadline for manuscripts is: February 1st (for the August issue) and August 1st (for the February issue). Articles are published in print within six months or less of acceptance and may be published electronically before appearing in print.